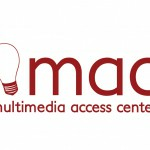 What is the Mac Lab Podcast? We will begin recording the MacLab podcast on February 8th. We plan to record and release podcasts at least twice a month. Depending on information and what’s happening with the world or MacLab, we might record more. In the past, we recorded podcasts and then it would take 3-4 days to actually edit/release the content which was troublesome when dealing with dates and information relevance. We are going to attempt to release the podcast the same day it is recorded. In order to do this, we will have to record our podcasts earlier in the day so that we can release them in the afternoon. What does this mean for those who normally use the lab? The Maclab has come to love (or hate) a few text editors over the years. We’ve used both free and paid versions of editors and in this post we’ll talk about our favorites. We’ll give some PROs and CONs as well as why we have moved away from Dreamweaver completely. What Workshop Would You Attend? This social media series has been developed specifically for clubs and their advisors. Each session will be offered as a live presentation and will also be available to watch live online via Ustream on SAI’s Facebook page, fb.me/SAIatCalU.